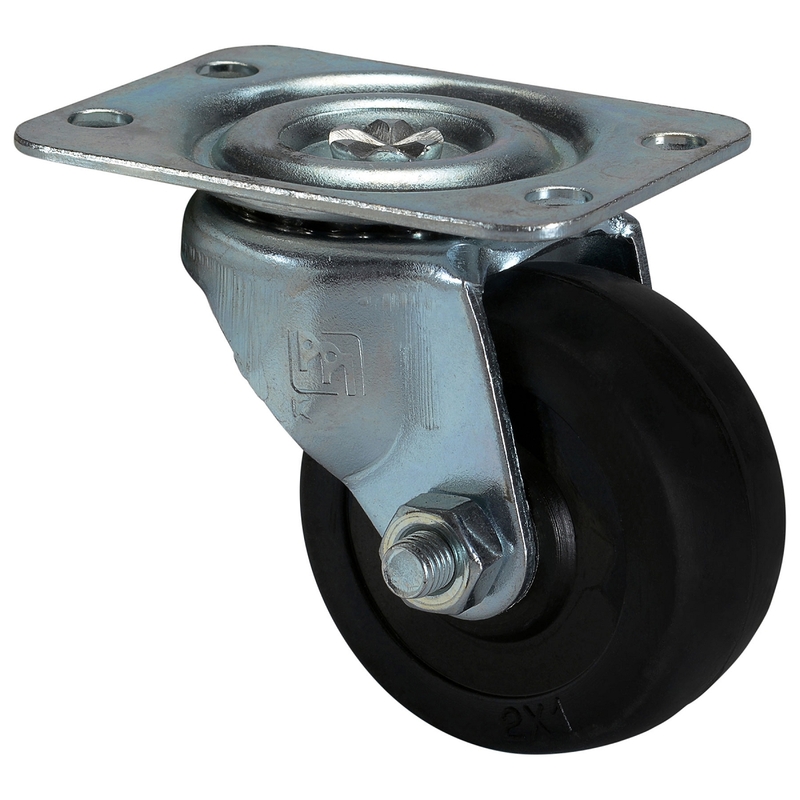 Medium duty caster for rack cabinets, guitar cabinets and bass rigs. Heavy gauge PennBrite plated, pressed steel construction. Two inch wheel and swivel roller bearings. Mounting plate dimensions: 1-7/8" W x 2-5/8" L.
Carrying weight: approximately 80 lbs. Well made, sturdy casters...smooth swivel action- a perfect fit for the Audiorax furniture.